April 30, 2018 – Washington, D.C. – The Advisory Council for Bosnia and Herzegovina (ACBH) will celebrate the 75th anniversary of Bosnia and Herzegovina’s statehood on May 5, 2018 in Washington, D.C. 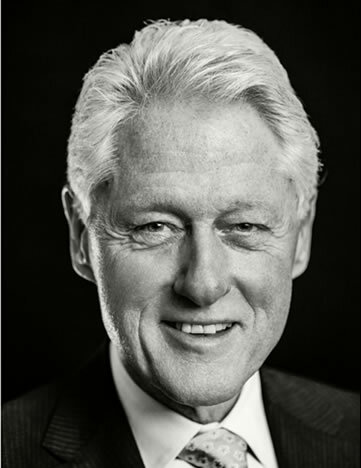 The gala dinner will honor longstanding supporters of Bosnia and Herzegovina, including the 42nd President of the United States of America, Bill Clinton, who will offer remarks and receive ACBH’s “Lifetime Achievement Award” for his dedicated leadership in ending the genocide and ethnic cleansing in Bosnia and Herzegovina. The ACBH Lifetime Achievement Award recognizes exemplary individuals that are advocates for Bosnia and Herzegovina and the Bosnian American community. “As a bipartisan organization, ACBH wishes to express its gratitude to policymakers on both sides of the isle who showed great courage and who fought for justice during the war in Bosnia and Herzegovina,” stated ACBH Chairman, Adnan Hadrovic. Also honored will be Dr. Haris Silajdzic, former President of Bosnia and Herzegovina; General (Ret.) Gordon R. Sullivan, 32nd Chief of Staff of the U.S. Army; General (Ret.) Wesley Clark, NATO Supreme Allied Commander; Sanela Diana Jenkins, entrepeanur and philanthropist; Bill Carter, filmmaker and director; Captain Ermin Mujezinovic, Bosnian American U.S. Army Captain; and the Hastor Foundation, a non-profit organization that empowers children and young people in Bosnia and Herzegovina. Founded in 2007, ACBH is the leading non-governmental organization that works on addressing the interests of the Bosnian American diaspora in the U.S. and advocating for a united, multi-ethnic and democratic Bosnia and Herzegovina. “ACBH is extremely honored that former U.S. President Bill Clinton has accepted our Lifetime Achievement Award as a long time supporter of a peaceful and prosperous Bosnia and Herzegovina. President Clinton was instrumental in securing the Dayton Peace Accords that ended the war in Bosnia and Herzegovina, and through his sustained leadership, ensured regional stability and prosperity,” stated ACBH President Ajla Delkic. The Bosnian American diaspora came to the United States predominantly as refugees displaced by the 1992-1995 war of aggression against Bosnia and Herzegovina that left over 100,000 dead, over 2 million displaced and over 20,000 women and girls victims of sexual violence. Today, Bosnian Americans serve as a vital part of the American fabric and are grateful for the many opportunities that the United States has afforded them.